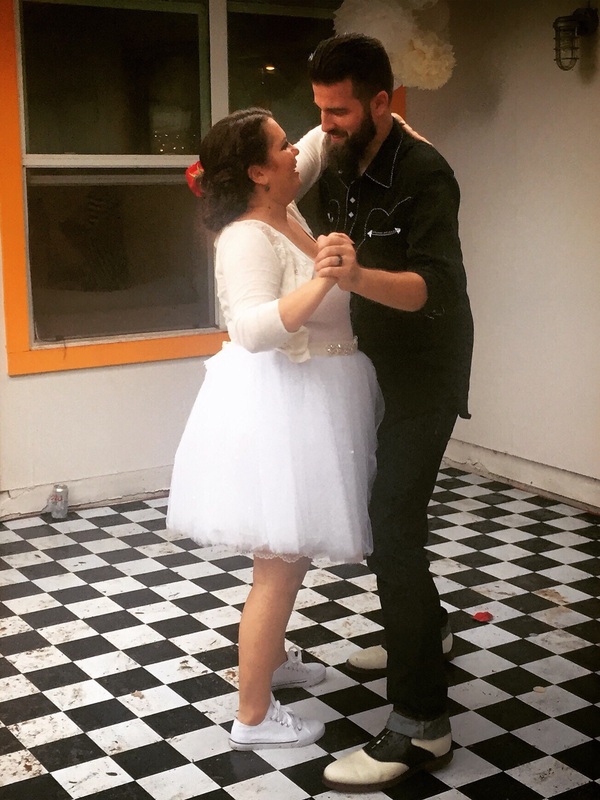 I’m a day late and a dollar, er, half a dozen recipes short this week, but I’ve got a few pictures of my sister’s wedding to make it up to you. It was a spectacular wedding, in spite or because of the downpour that started right after the ceremony did. 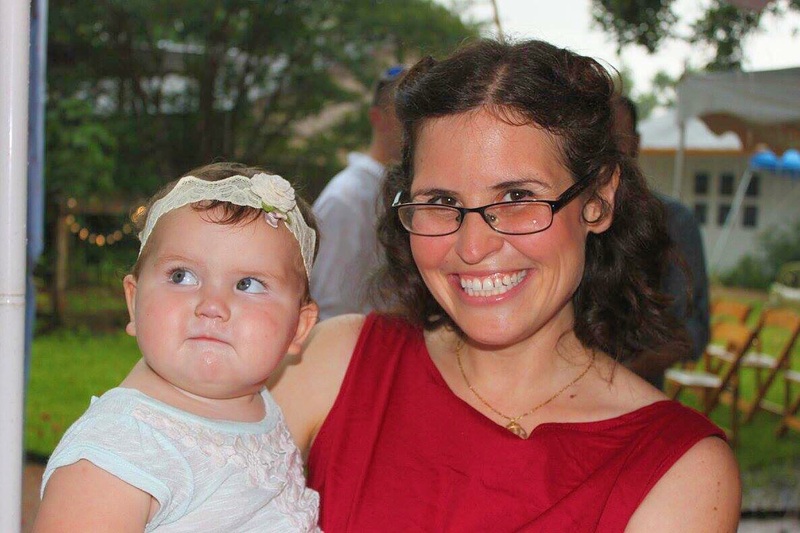 My gorgeous sis and her now-husband dashed from the homemade chuppah to the tent so guests could hear their vows above the roaring thunder and rain. It was romantic, dramatic, and exciting, just like my sister, and I am so thrilled for her and her fella. Things are back to normal this week, so I’ll return with regularly-scheduled programming next Monday. 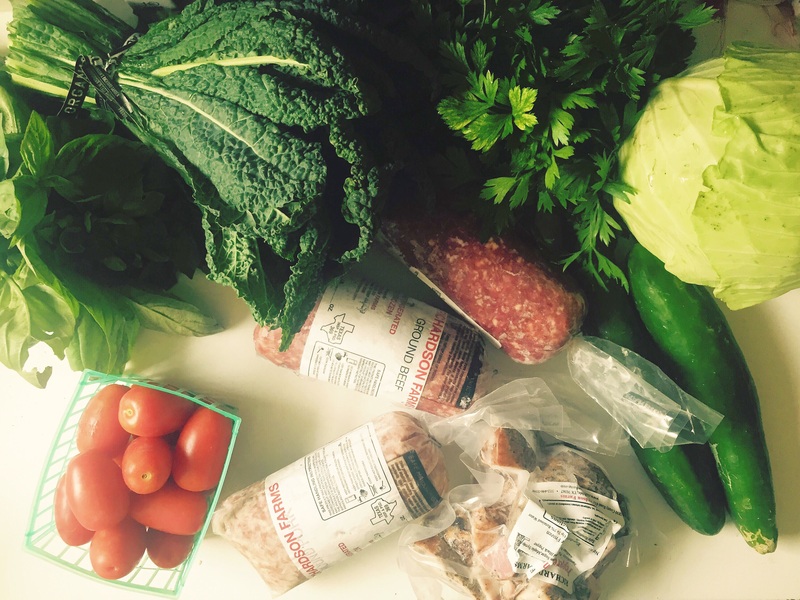 In the meantime, here are the few meals I managed to photograph this week. 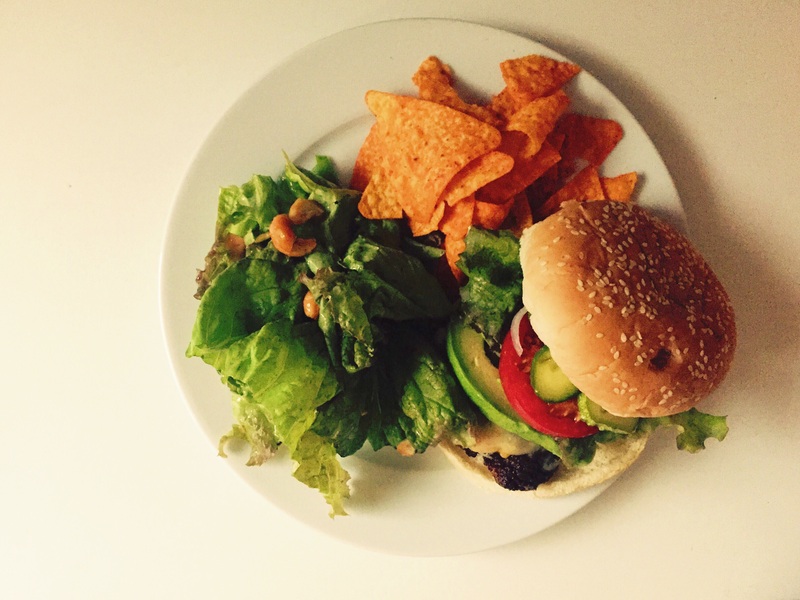 Hamburgers with Quick Pickles, More Cashew Tamari Salad, Doritos. I have developed a few bad food habits with my kids. Every time we go to Central Market, Henry gets a little bag of some random gummy candy and shares it with George. Same at Joann Fabrics. At HEB, Henry always gets a little bag of nacho cheese Doritos, and George gets a bag of the cool ranch kind (blue! blue!). When Auntie shows up to our rained-out memorial day barbecue with two huge bags of Doritos, she knows my kids will become even more enamored with her than they already are. The quick pickles were made with a couple of cucumbers from our garden, and follow the radish and carrot pickle recipe at the end of the link. 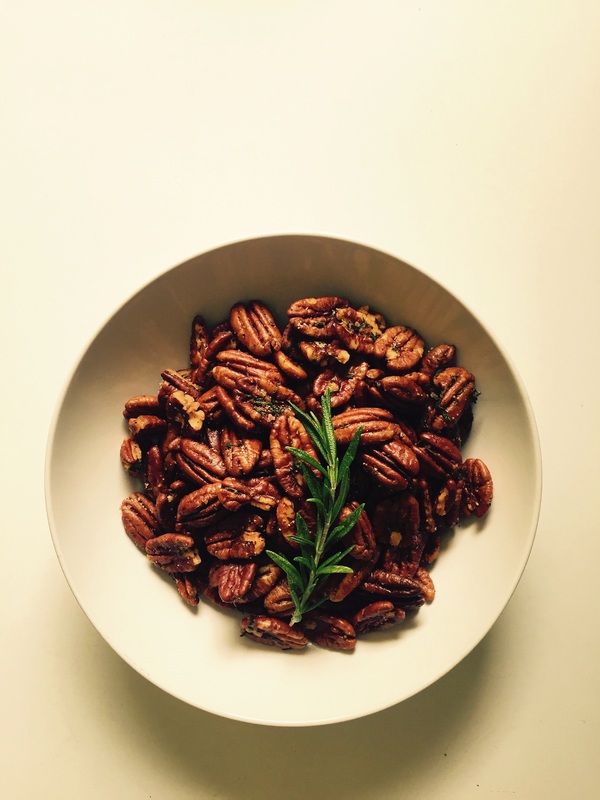 Virginia Willis’ Spiced Pecans. 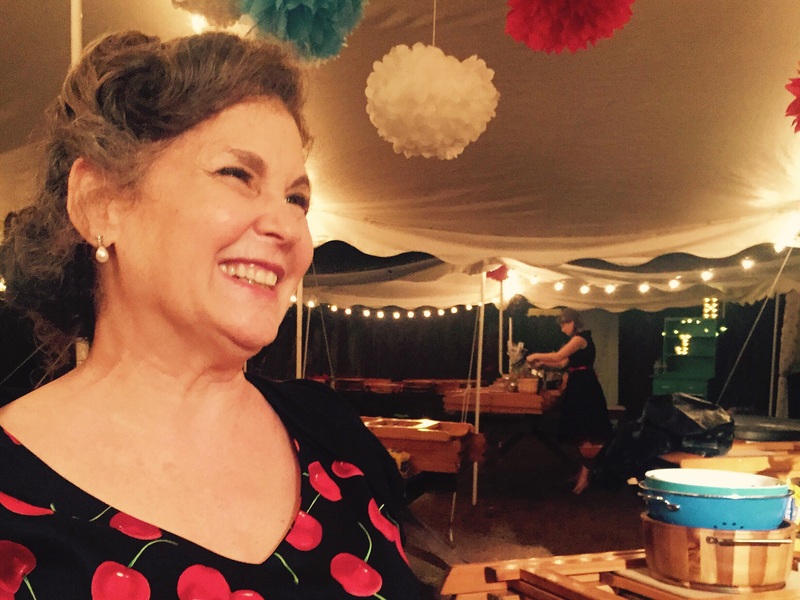 You may know Willis from her genius deviled egg recipe (it’s really the best). Like that recipe, the secret ingredient that puts these pecans over the edge is just a little bit of room temperature butter. You fry them in canola oil until they smell fantastic, then take them out with a slotted spoon and toss them with a bit of butter and spice, or rosemary and thyme like I opted for, before letting them cool on a paper-towel lined plate. They were a perfect party snack. 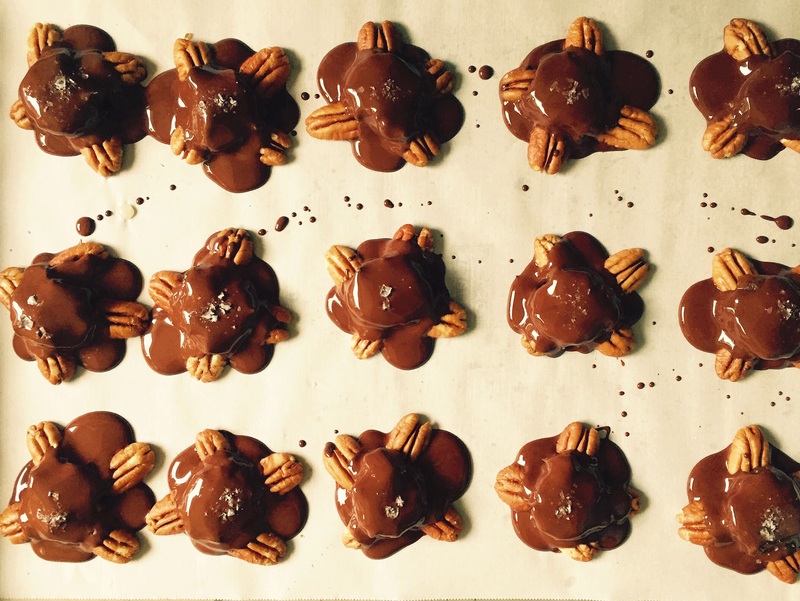 Dark Chocolate Turtles with Date Caramel. A delicious gluten- and dairy-free version of the traditional turtle. The date caramel couldn’t be simpler- you just blend dates and a few other things in a food processor until smooth, and, while not quite caramel, it’s delicious in its own right. And if you’ve got a dairy-free friend you want to feed caramel-like treats to, it’ll work nicely. I had a lot more caramel and chocolate than the recipe called for, so I just scooped balls of the caramel into the leftover melted chocolate and sprinkled them with sea salt for bonus salted caramel treats. 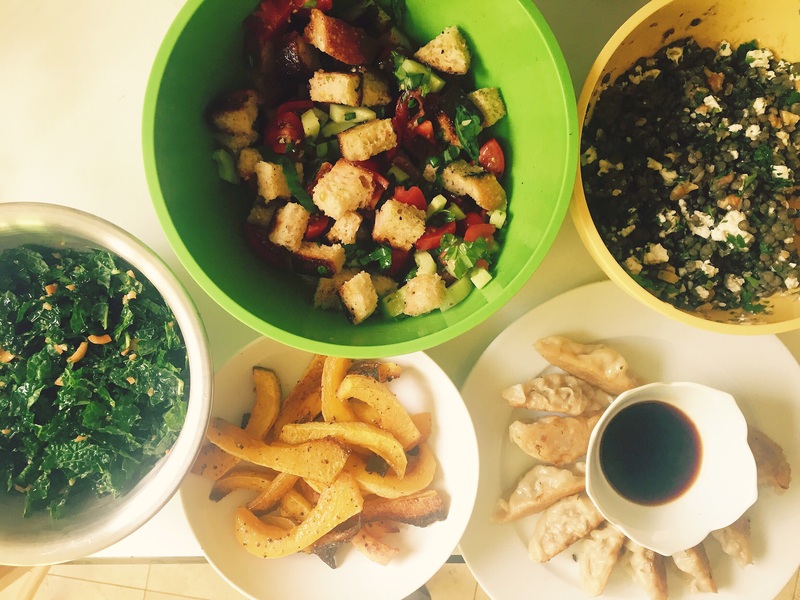 Panzanella with Tomatoes and Cucumber, Roasted Butternut Wedges, Lentil Salad with Walnuts and Feta, Kale Salad with Still More Cashew Tamari, Leftover Potstickers. I was in charge of cooking beans, potato salad, and kale salad for 100 people for the wedding, which meant that my fridge had to be emptied. This dinner was an attempt to eat everything in it instead of throwing it away. We had leftover bruschetta (grilled garlic bread) from a dinner last week that I had frozen. I reheated the bread in the oven and then cut it into cubes and tossed them with chopped tomatoes, cucumber, basil, salt and pepper, and a simple red wine vinaigrette. The potstickers were technically in the freezer, but I needed a quick carb-y thing because I thought Henry would grimace at a dinner of a bunch of salads (I was right). But everyone else was happy to eat a bonus potsticker too. The beautiful bride, Helen, and her groom, Jordan. Helen did her own hair and makeup, made her own veil, and also did the hair and makeup for every girl in the wedding party. 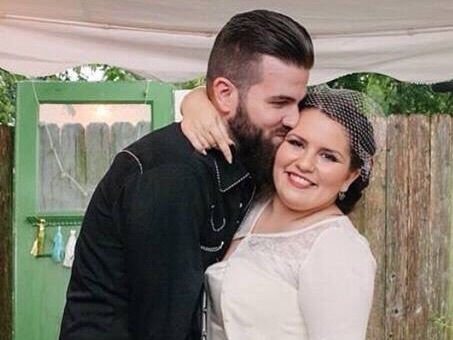 She’s a DIY wedding champion and kept her cool while she did it. Together, they’re the best. Photograph by Nichole Christine Photography. First Dance! After an outfit and shoe change for the bride. They’re real cute. 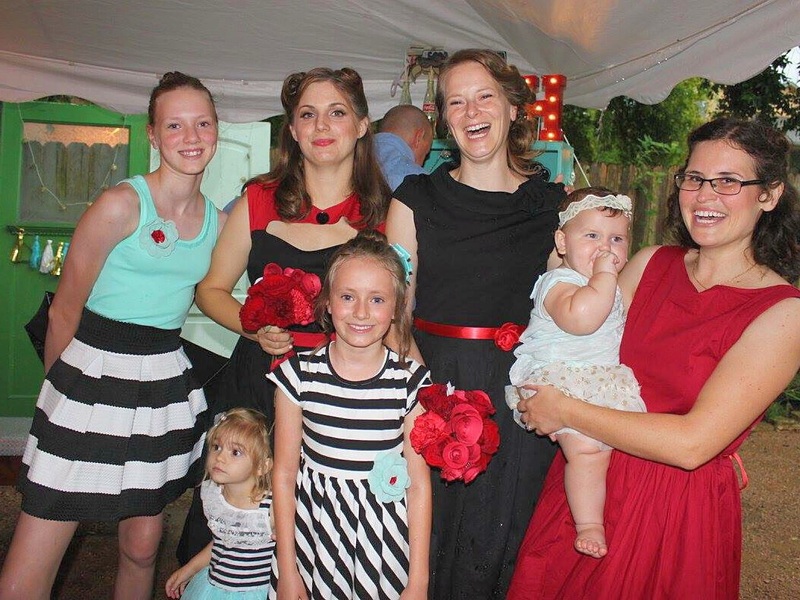 The bridesmaids and most of the flower girls, plus bonus Phinnie! What an extraordinarily wonderful group of women Helen has around her. Joanna and Christy, your kindness, talents, and generosity are endlessly inspiring. Photograph by our friend Mary Brown. 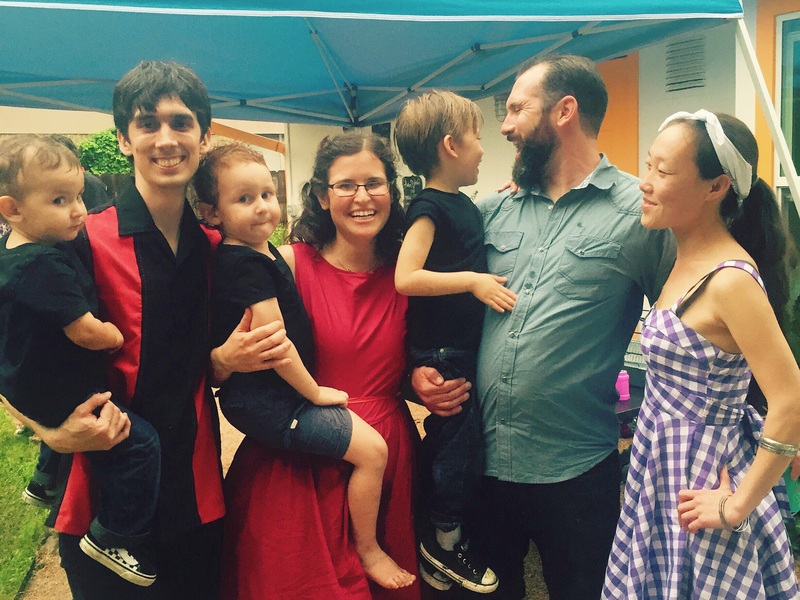 Family shot with Andy and Henry and George, plus my brother Cameron, Minna, and their son Leon. It was so great to get to spend time with this sweet family this week. My gorgeous mama, mother of the bride, cleaning up after the wedding. 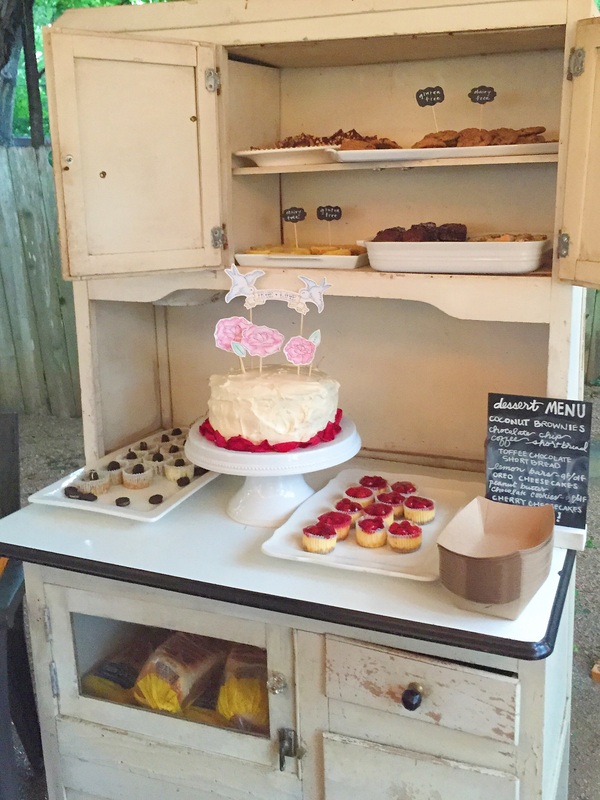 Christy made all of the desserts for the wedding, and they were all crazy delicious and beautiful too. 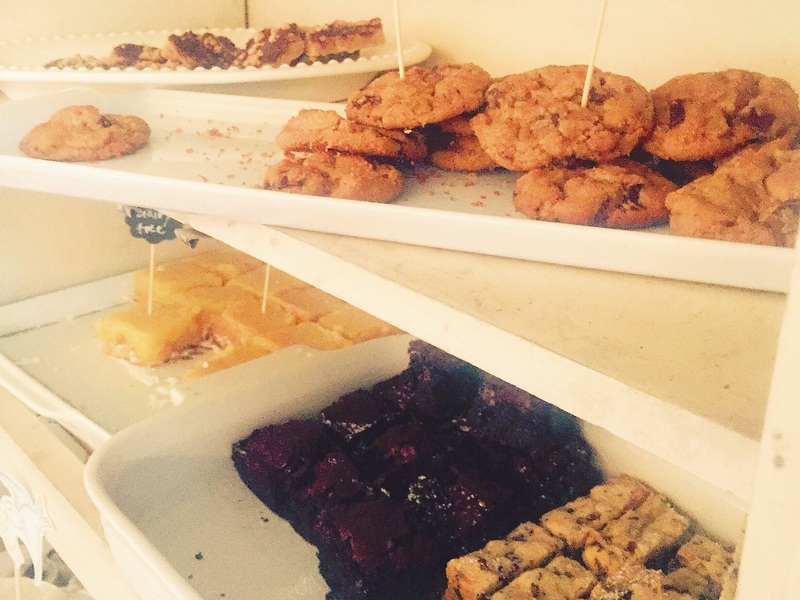 Oreo and cherry cheesecakes (Helen’s favorite), chocolate chip espresso shortbread (this stuff is ridiculous! ), toffee chocolate shortbread (yessss), coconut brownies (she makes regular brownies with coconut oil and shredded coconut- steal this idea! ), gluten and dairy free lemon bars (you’d never know! ), and gluten and dairy free chocolate peanut butter cookies that are better than their flour-ful counterparts, seriously. 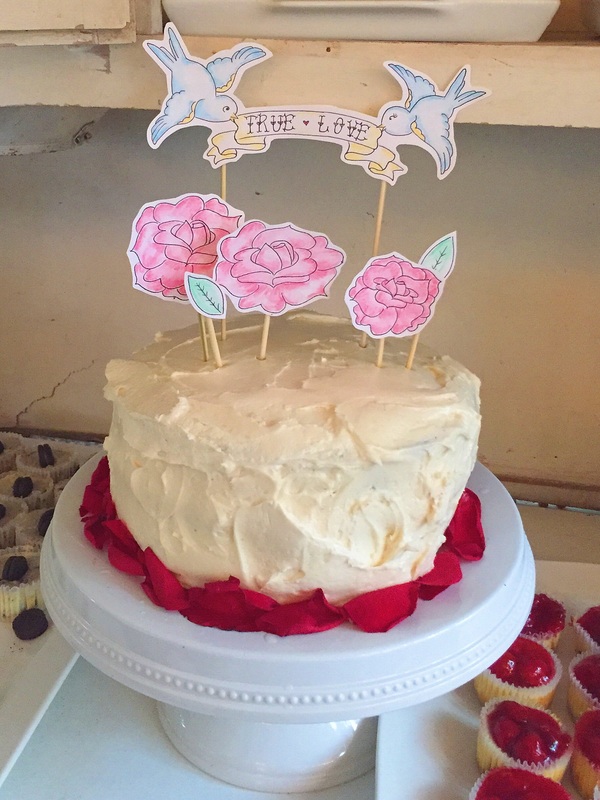 Plus a fantastic red velvet cake, decorated with Helen’s beautiful drawings. What a beautiful wedding it was! Rain and all! Do you think Christy would share the lemon bar recipe? I’m obsessed! Thanks! We were honored to be there! Wonderful post and a beautiful wedding. I love a wedding like this one. Home made with a lot of love and blessings.